Celebrates the season with the Buffalo Bill Center of the West at our annual Holiday Open House, a day filled with festive decorations, Santa Claus, and entertainment. 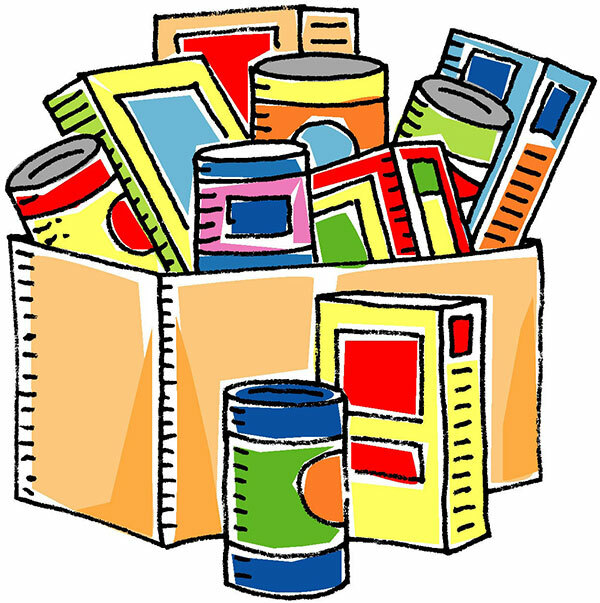 Bring non-perishable food items; they will be distributed through Cody food pantries. Bring new, packaged toys; they will be distributed through Toys for Tots. Bring items for pets; they will go to the Park County Animal Shelter. Local and regional groups perform for the crowds at our Holiday Open House, with entertainment running simultaneously in two venues. The diverse programs offer something for everyone: music by choruses, carolers, honor choirs, jazz bands, and barbershop quartets; dance in styles from ballet to modern, clogging to tap. All our performers generously volunteer their time and talent. Our performers in 2018 included Sunset Honor Choir, Livingston Elementary Choir, Eastside Honor Choir, Yellowstone Harmony Chorus, Alphabell Music, 40 Fabulous Fingers, the Lovell Recorder Quartet, Sheets Family Music, Cody High School Jazz Band, Cody Middle School Mini Ensemble, Cody Community Choir, Cody Center for the Performing Arts, Victoria’s School of Dance, Absaroka Mountain Thunder Cloggers, Sunlight Martial Arts, and Rocky Mountain School of the Arts. 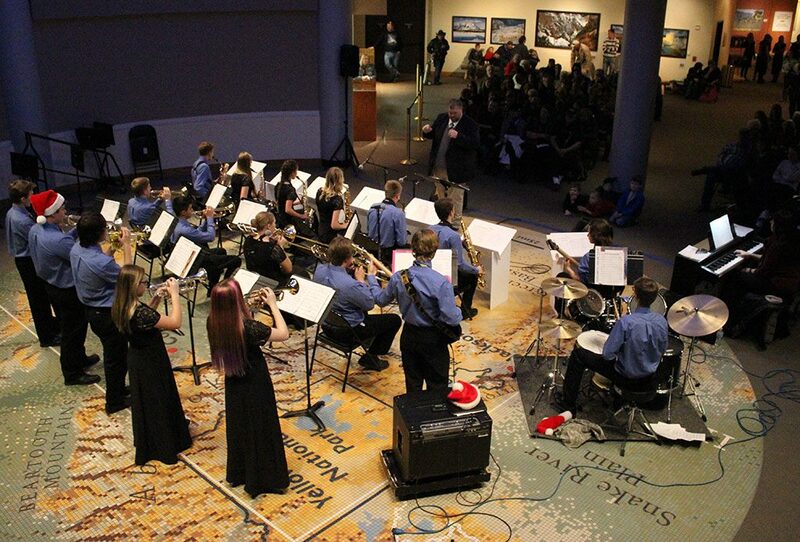 The Cody High School Jazz Band in 2016. Santa visits with a hopeful child. Santa Claus considers the Buffalo Bill Center of the West a very important stop in his preparations for Christmas each year. Children (of all ages!) 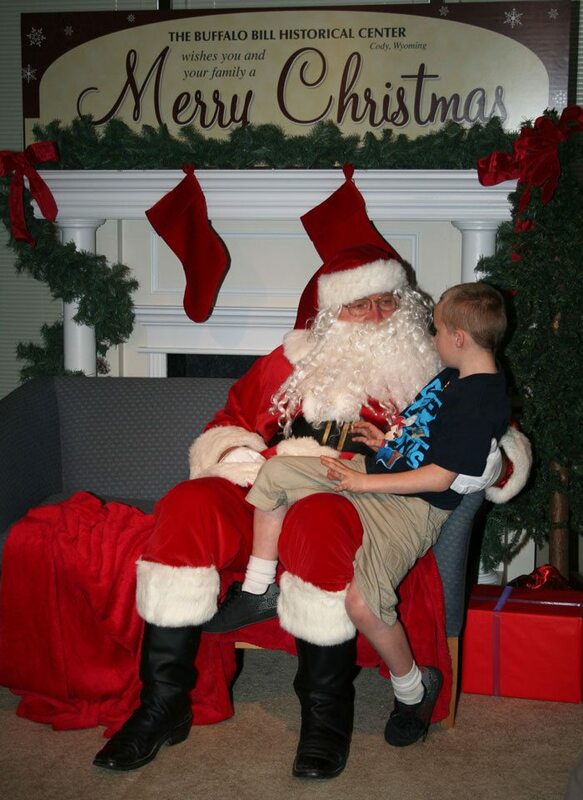 can visit with Santa at the Holiday Open House and tell him their wishes for the holiday season. The Cody Reading Council is always on hand near Santa to read favorite Christmas and holiday stories, so don’t worry! If that line to Santa is long, there will be plenty to entertain the children while they wait. Our resident printer, Volunteer Mike Parker, helps visitors print their own souvenir bookmark. Find Mike next to William F. “Buffalo Bill” Cody’s printing press in the Buffalo Bill Museum. Enjoy a storewide holiday sale at our Museum Store during the Holiday Open House! 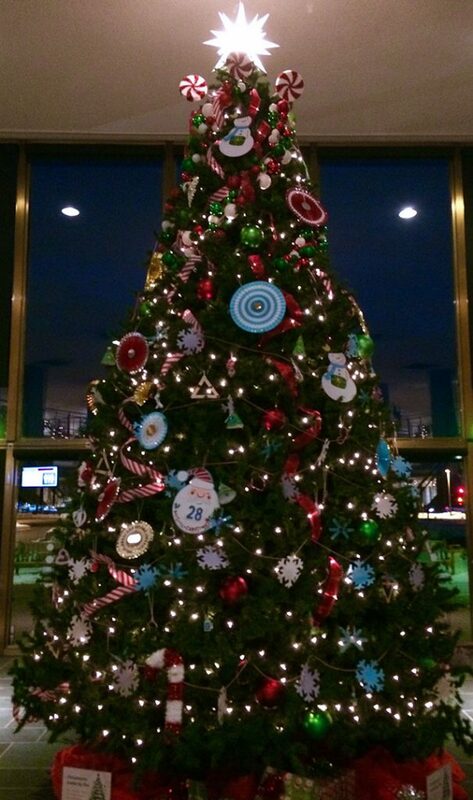 Festive decorations not only greet visitors to the Holiday Open House, but through New Years to spread holiday cheer! A sixteen-foot decorated Christmas tree graces the entrance to the Buffalo Bill Center of the West each year for the Holiday Open House.